India successfully test-fired its indigenously developed nuclear capable Prithvi-II surface-to-surface missile for a shortened range of 250 km as against its full range of 350 km as part of a user trial by the army from a test range at Chandipur in Odisha. The missile was launched by Strategic Forces Command (SFC) from a road mobile launcher at around 9.15 am. The missile after nearly seven minutes splashed down near the pre-designated target point in the Bay of Bengal with a high degree of accuracy. It was carrying a dummy payload weighing 500 kg, the missile met all the mission objectives. Prithvi II is the first missile to be developed by DRDO under India's prestigious IGMDP (Integrated Guided Missile Development Program). Prithvi is a surface-to-surface short-range ballistic missile (SRBM) developed by DRDO of India under the Integrated Guided Missile Development Program. It is deployed by India's Strategic Forces Command. 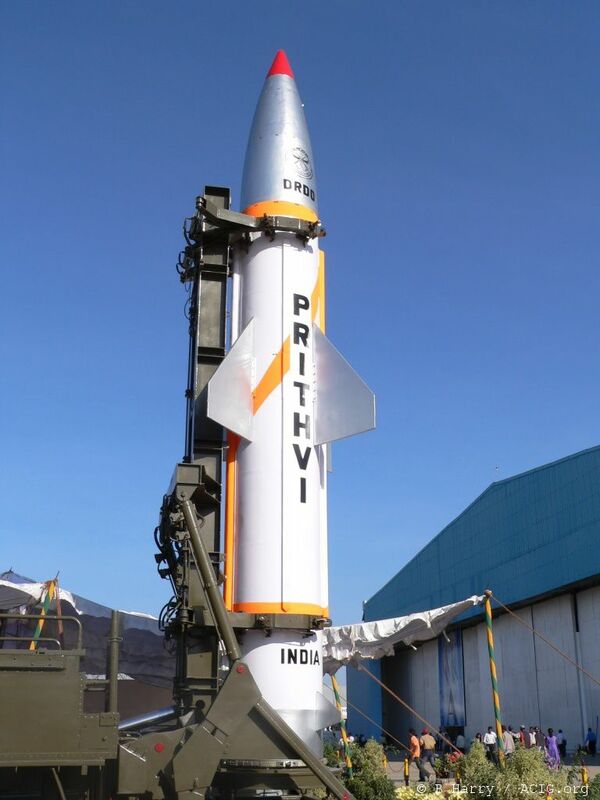 The Prithvi missile project encompassed developing 3 variants, i.e. Dhanush- Dhanush is reportedly a naval version of Prithvi which can be launched from ships.